One of the perks of working with Carroll Garage Doors is access to our Design Center for previewing door designs. You can combine different panel and window designs for an almost endless sea of options, or try out different colors. 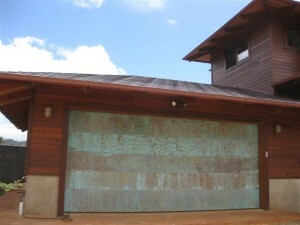 Experiment with wood doors versus steel doors to see which you prefer. Don’t forget to accessorize with decorative hardware, especially if you are designing a Spanish or Mediterranean style wood door. You’ll need iron handles, hinges, and door straps to complete the look. No matter what type of custom garage doors Simi Valley CA you may ultimately decide on, they will definitely need professional installation. If your installer makes a mistake, it could potentially shorten your door’s life. For example, failing to get the proper balance and tension in the garage door opener has the potential to make the doors open unevenly or even burn out your garage door opener over time. When you work with Carroll Garage Doors for your custom door design and installation, you don’t have to worry about these kinds of problems. Our rigorous training means that our technicians have the skills and expertise needed to install your new garage doors correctly.